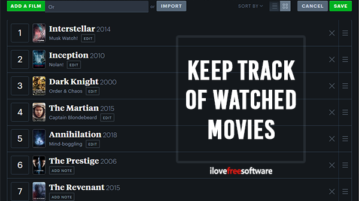 This article covers 4 free websites to keep track of watched movies. 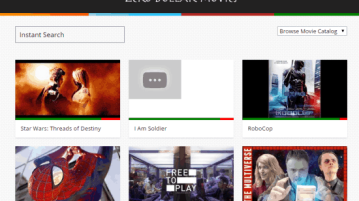 With these websites, you can create and manage lists of watched and watchlist movies. 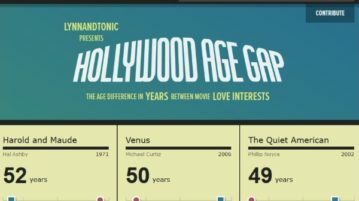 Hollywood Age Gap is a website where you can find out the age gap in years between the lead romantic pairs in Hollywood movies. 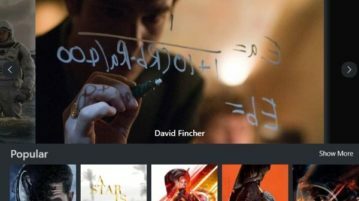 Movier is a free Windows 10 movie and TV shows information tracking app to see info on latest movies/TV Shows, upcoming movies, top rated movies, etc. Here are 5 Disney movie trivia to put your Disney knowledge up for the test. 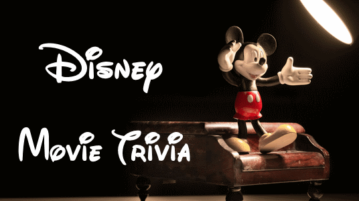 These online trivia cover various types of questions about Disney movies, their stories, and characters. Give these trivia a try and see how much of a Disney fan are you. 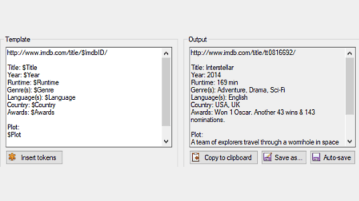 This article covers a simple tool to generate movie catalog using IMDb data. This tool uses a custom API to fetch information from IMDb website and format the output in any desired manner. 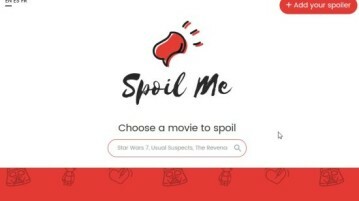 Spoilme is a free website which will help you find spoilers from any movies you are planning to watch or not planning to watch. Check it out. 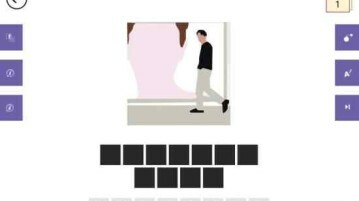 Guess the movie quiz is a free Windows 10 movie quiz app which lets you guess movie names using images. Check it out. CringeMDb is a free website which tells you if a movie is safe to watch with your parents. Check it out. KillerFlix is a cool website which lets you find horror movies you are in a mood to watch. You can select horror movies from different categories. MyMovieRack is a free online application to rate, review and discuss movies with friends. Import ratings and Watchlist from IMDB account. 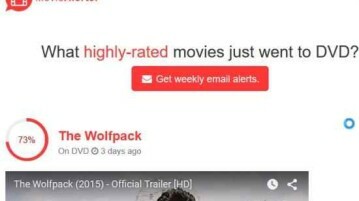 MovieAlerter is a free website which sends you email alerts every time a popular movie is out on DVD. You need to subscribe to receive weekly movie alerts. 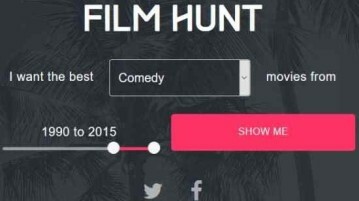 Film Hunt is a free website which will search and find the best movies in a given period of time. 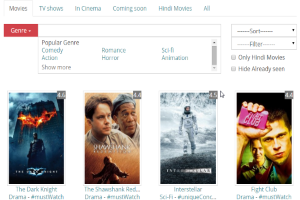 You can select the movie genre as well for search. Zero Dollar Movies is the free website to find full length movies on YouTube. Browse on the basis of language and year. A Good Movie To Watch lists lesser known movies which got high critical acclaim as well as user reviews to be watched anytime.